For today’s deals roundup, we’ve put together a wide range of deals on storage devices such as pen drives and hard disks. Do you run out of storage often? 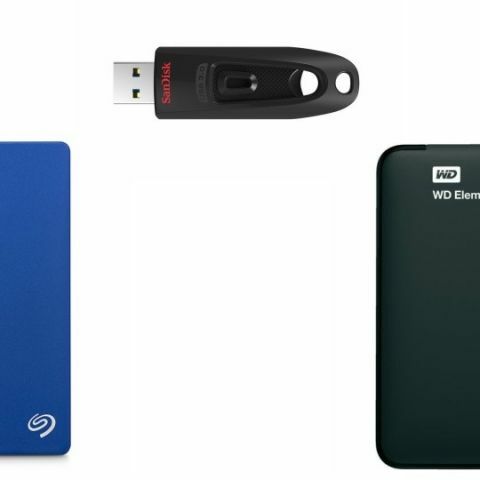 Looking for a portable hard disk or pen drive for your media storage? Then you’ve came to the right place. We have found out some deals on Paytm Mall on storage devices. The list contains devices from brands like Seagate, SanDisk, WD elements and more. The WD Elements 1TB Portable External Hard Drive connects to PC via USB 3.0 interface, which is faster than 2.0. As per the company, it can transfer the data at the rate of 5GB/s with USB 3.0 and up to 480MB/s with USB 2.0. You can purchase this device here. The Seagate 1TB external Portable Hard disk is compatible with all operating systems. It connects to PC via USB 3.0 interface which as per the company can transfer the data at the rate of 120MB/s. You can purchase this device here. If you run out of storage often, then the 2TB Western Digital Elements Hard Drive might able to meet your requirements. The drive connects to PC via USB 3.0 interface, which as per the company can transfer the data at the rate of 5GB/s with USB 3.0 and up to 480MB/s with USB 2.0 connectivity. You can purchase this device here. The HP 32GB flash drive comes with USB 2.0 connectivity. As per the company, the drive can read the data at the rate of 14MB/s and transfer at the rate of 4MB/s. You can purchase this device here. The SanDisk Ultra 16GB Pen Drive comes with USB 3.0 connectivity and compatible with USB 2.0 Interface too. The company claims that the SanDisk 3.0 flash drive can transfer the data four times faster than USB 2.0 drives. It also includes secure access software, which allows you to set up a password for your private files. You can purchase this device here.